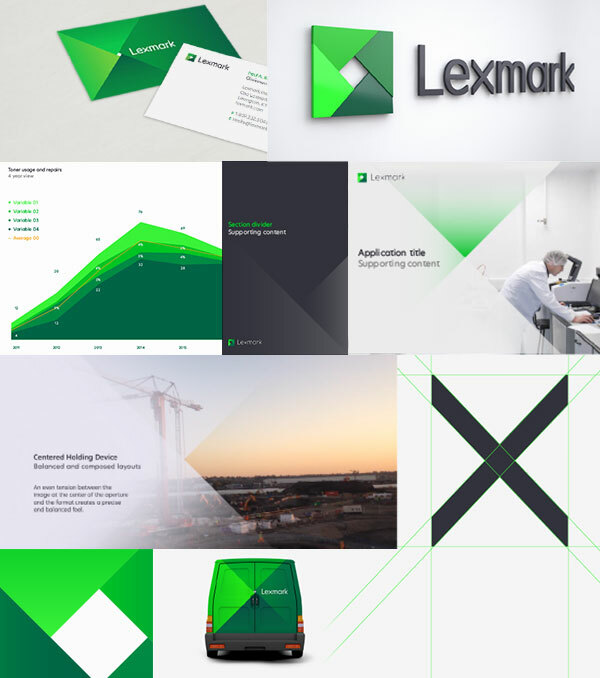 An exploration of the new Lexmark visual identity, from the messaging that drove the identity, to the logo, to the broader visual style. Five years ago, the software company for whom I served as creative director was acquired by Lexmark. Since then, the two brands have operated concurrently, and have added to the software roster with a dozen additional acquisitions. While Lexmark has received credit from analysts and customers for the strategically important and growing software component, their brand has never quite achieved escape velocity from “a printer company”. 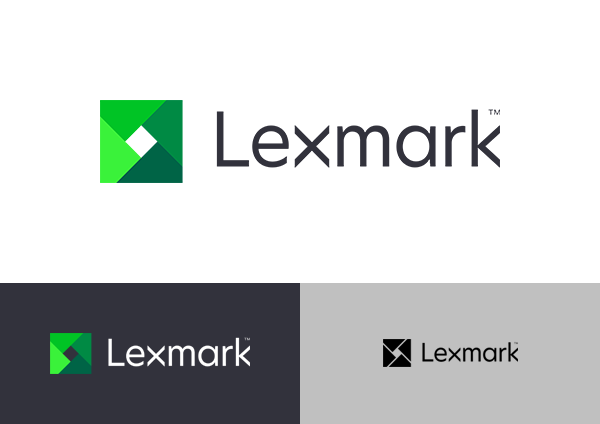 The launch of the new global Lexmark brand announces the unification of the entire Lexmark technology portfolio — organic and acquired, hardware and software, old and new. It’s a transformative step to strongly communicate the diverse technology offering and value proposition. While the new logo and identity are important, and I’ll talk about them more in a bit, this runs deeper than eye candy. Our first step was to engage a respected global branding agency to lift Lexmark the company from the soil and examine the total entity from stem to roots: our values, our competition, our future. This discovery phase was crucial to understand the shape of the challenge ahead. Our messaging goals were complex. We needed to convey Lexmark’s core value proposition of delivering precise information to the right person at their moment of need. This ability to both expand a person’s visibility into their organization’s information at the same time drawing focus to the most critical bit of data needed within a business process was a core talk track leading into the design discussions. It’s a powerful idea, but terribly abstract. Easy to explain in 30 minutes, almost impossible within a few sentences. In other words: a fabulous design challenge. Mulling over information visibility, we rallied around the idea of an aperture. Not a camera aperture in a literal sense. Rather, the idea of focus. The ability to scale a line of sight, encompassing a wide or tight purview, honing in on specific information. Effortlessly wide, precisely narrow. An idea that reveals dynamic scale and a persistent point of attention. From the aperture concept, the logo’s icon became evident. We messed with spacing, gradients, lines, patterns, size. But in the end, the geometry worked the hardest in its purest form, without decoration. Purposefully, the red diamond of the heritage logo inspires the center of our brand mark. The square shape has the added benefit of working wonderfully as a digital avatar, and is already becoming an emblem for our online spaces. The new icon and the link to the heritage diamond. 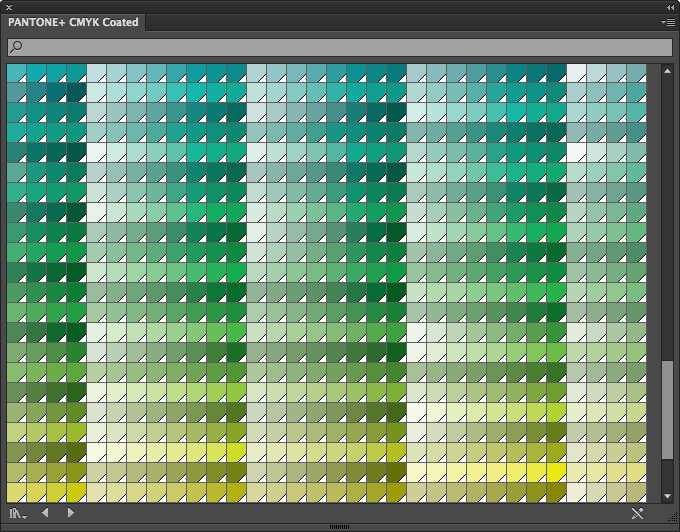 Selecting the colors was its own subplot. Green is an exercise in subtle psychology. Slight deviations connote radically divergent ideas: a touch of yellow feels lime and tropical, a hair of red muddies it to earthy camouflage, a dab of blue drifts into oceany flavors, deepening the tone feels too pine tree, and going too light lacks proper intensity. In the end, we selected vibrant, pure greens. Definitely not easy being green. But why green? Two clear reasons. Green is common in consumer brands, but the B2B technology space revolves heavily around red and blue. I don’t know why. Our competitive analysis was surprising: overall technology branding has major gaps in the color spectrum, and green is nearly empty in B2B. Green is literally as far away from red as you can go. Since 1991, Lexmark had centered on red and black. It did this successfully. But to communicate the weight of this change, to make it unquestionably new, we set up base camp on the other side of the color wheel. From the beginning, we sought a distinct font. Our standard had been Proxima Nova — beautiful and robust, but as common as a pigeon in Central Park. In the end, we settled on a font that brought the full-bodied curves of a modern sans, but injected enough personality to separate not just our core logo but our armada of marketing material. One of my criteria for the logo was to hint at a slight playfulness, something that would suggest that Lexmark was not a stodgy and dated company. The rotated “x” does this well. It’s unexpected, but fun, and echoes the lines of the icon. A very pleasing side benefit is the subtle feel of two arrows coming together, positioning the center of the X as a center of balance. The composite brand mark was the result of a long, explorative journey, but like the best logos, feels completely obvious once you’ve arrived. In parallel, we explored the extended identity. Building on the ideas of bright color, strong geometry and the aperture of information, our system carries across brochures, websites, stationery, building signage, hardware products, packaging, software interfaces, employee badges, executive briefing centers, interior design, service vehicles and about a hundred other applications. Examples of the extended identity. We’re still getting the hang of these new dancing shoes, but the internal team is excited, and we’ve already developed some beautiful material. More than anything, we’re psyched about the response we’ve received from customers and the extended community, and are optimistic that this brand will open new opportunities for Lexmark.